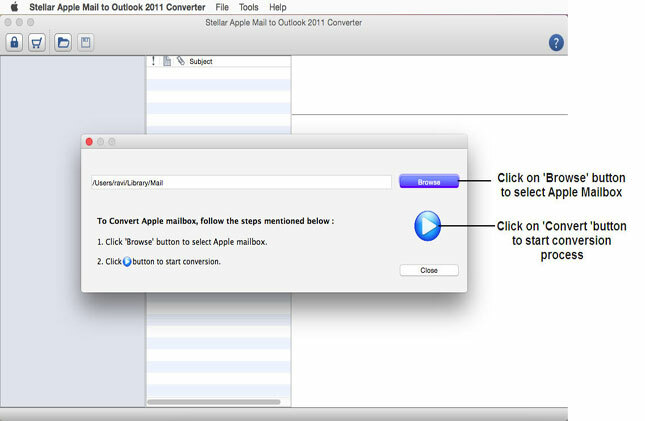 Stellar Converter for AppleMail is an email migration utility that facilitates converting Apple Mail '.EMLX' files to RGE files of MS Outlook 2011 for Mac. 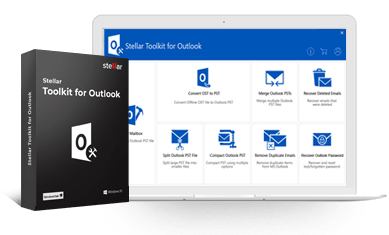 The software uses streamlined approach and fast conversion techniques to allow you to conveniently move from Apple Mail to MS Outlook for Mac. With the help of this advanced tool, you can extract emails from Apple Mail folders ('Inbox', 'Drafts', 'Sent') and restore them to a 'RGE' file that can be imported into MS Outlook. Run Stellar Converter for Mail (see the screenshot below). Afterwards software will scan the mailbox and represents the progress of the scanning in a dialog box. After successful conversion process, you will seethe preview of converted mailbox in a three pane window. All the mail item folders will be listed in the left pane of the window in a tree like structured format, where the list of items in a single folder will be displayed in the middle pane. The right pane will display the content of selected individual item. You can click on any mail to see the content of it. After successful preview, you can save the converted file to .rge format. he next Window display a destination folder dialog box, you can choose a destination location where you want to save the file. At the end a 'File Saved Successfully' dialog will appear. This is the complete conversion process. Free demo version of the software can be downloaded from below. 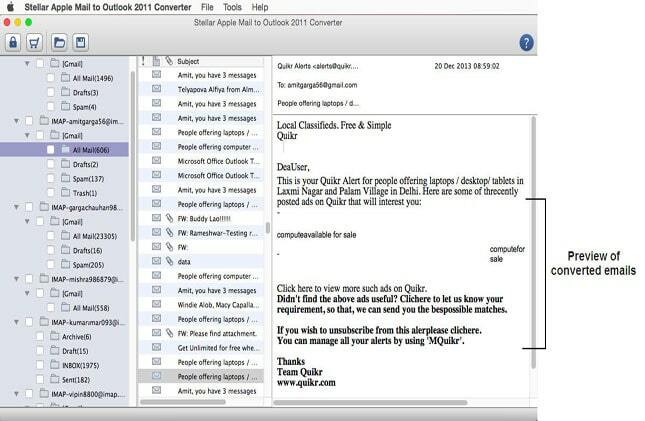 This software had given a full-fledged functionality for switching towards Outlook 2011 email client. It was never too easy. 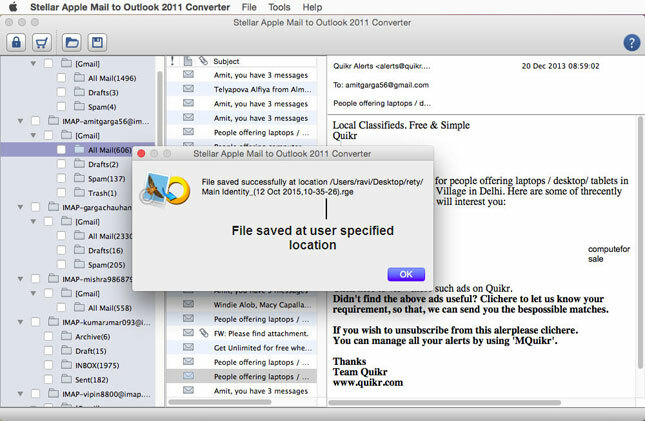 After importing output files into Outlook 2011, I found each items of Apple Mail on targeted email application. This utility had saved my investment.